Incontinence is a common problem, involving lack of control over the passage of urine from the bladder, leading to unintentional leakages. Total incontinence  the bladder cannot store any urine, causing constant or near-constant leakage. This is usually due to a congenital issue, bladder fistula, or spinal injury. Urinary incontinence may be successfully treated with pelvic floor exercises, which strengthen the muscles that control the flow of urine, bladder training, which helps you to wait longer between the feeling of urinary urgency and the passing of urine, or lifestyle changes, such as diet and exercise. In all cases these treatments are guided by a specialist, and depend on the diagnosis. Temporary relief and management of the condition can be obtained through using incontinence pads or portable urinals. Medication and surgery may also be recommended, where the symptoms cannot be managed through other means. Call us to make an appointment to speak to one of our specialists, who can help you figure out the best way forward. There are four types of stress incontinence: urge incontinence, overflow incontinence, and total incontinence. The first is caused by pelvic floor issues, the second by overactive bladder muscles, the third by a blockage in the bladder, and total incontinence is usually due to a fistula or spinal injury. Who is most likely to be affected by incontinence? 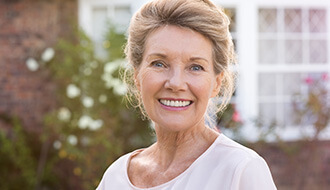 Incontinence is not an inevitable part of aging. Women tend to experience it more than men, due to effects of pregnancy and childbirth on the bladder. Urinary incontinence in men is usually caused by prostate issues. Can incontinence be treated without surgery? Yes. In many cases, incontinence can be treated with pelvic floor training, physical therapy, and nerve stimulation. Minimally invasive surgical procedures are available for more serious cases.